Seeing a train on the Marcellus branch was rare. When they ran on the line, it was usually on weekends with borrowed locomotives from another part of the railroad. 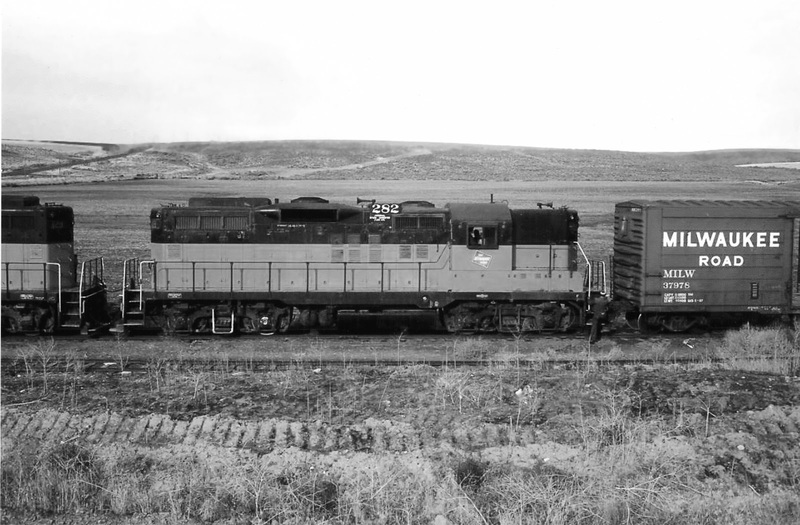 Here we see two GP9s at Marcellus picking up boxcar loads of grain in the early 1970s. I still miss the Milwaukee Road terribly. Watching a train snake around the sharp curves on the steep slopes above Interstate 90 was really something to see. The loss of that railroad was a huge disappointment for me.